Overcoming Common Relationship Issues – CounselCare Connection. P.C. As we look at relationships today we have to ask: what has gone wrong? From Columbine to child abuse to divorce, we watch as rage, betrayal, seduction and selfishness destroy lives and relationships. Marriages are falling apart, unhappy and conflictual. Families are abusive, strained, distant. Friendships are superficial, fragile and lack accountability. Business relationships are characterized by distrust, tension, competition and jealousy. While relationships can seem formidable and difficult we still desire to be connected and enjoy great relationships – even in the workplace! What does it take to relate with others in a meaningful way? 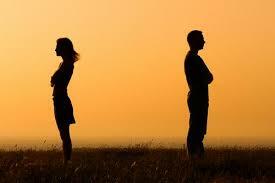 How can we personally overcome -anger- that enemy which causes so much relationship distress! 23% of Americans openly express their anger. 39% say they hold it in or hide it. 23% say they walk away. 23% confess to having hit someone. Scriptural insights: While anger is potentially harmful, the Bible contains examples of how God was able to accomplish His purpose through angry people. When you are able to control your anger, it may help defuse the other person’s anger and promote respectful dialogue. Take a risk this week and ask God to turn your anger into a gentle assertiveness. Learning strategies to overcome anger – a prime relationship enemy – will get you further down the road to success in all your relationships. Order the first or second edition of the book: What’s Good About Anger? by Lynette Hoy and Ted Griffin. Listen to Quick Tips for Managing Anger podcasts!